Self-adhesive. 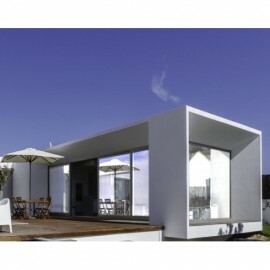 Reduces solar heat, glare and UV by over 90%. Excellent for heat rejection and glare reduction. Metalized layer in film giving a Mirror Silver Reflective on the outside facing, glue side, and dark blue on the internal facing side. 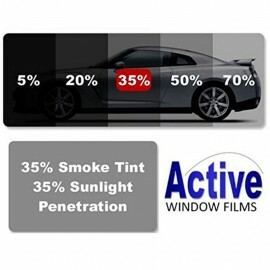 Professional quality - used by most professional tint shops. 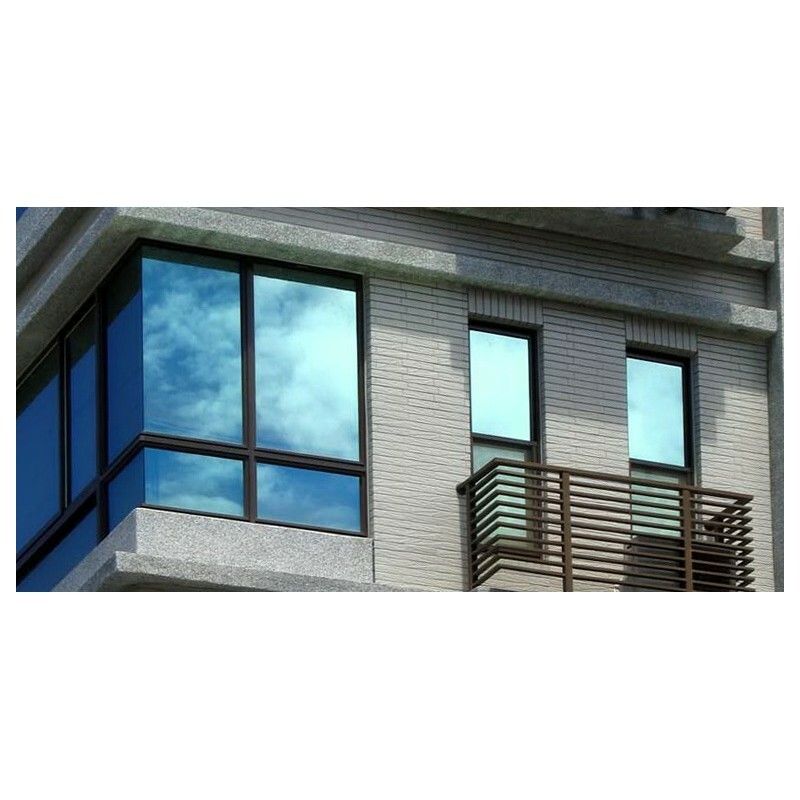 An Active Exclusive Product, True One Way Mirror Vision, is an upgraded version, of our best-selling One Way Mirror Silver Window Film, improved one way effect at lower light ratios and elimination of internal mirror effect when light outside is dark. 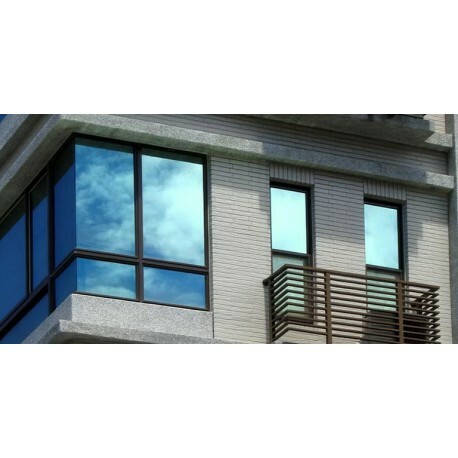 This Silver Mirror Window Film can help reduce heat and glare by up to 90%. It will also give you excellent daytime privacy. 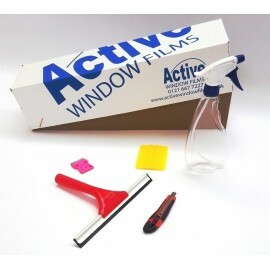 This film is suitable for all types of flat glass windows. It can be used in the home or office it is the highest quality professional window film. 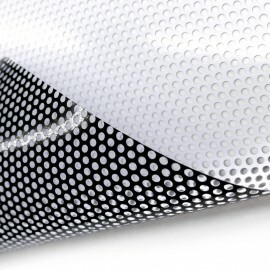 This Product is Mirror Silver Reflective on the outside facing glue side, and dark blue on the internal facing side. 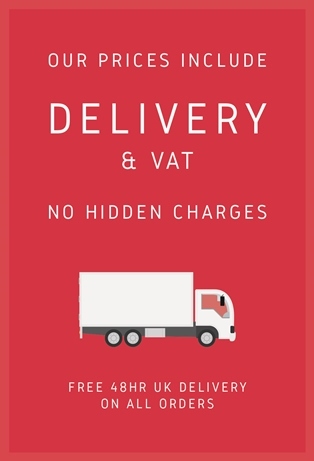 This film is available in two widths 76cm and 152cm, it can be purchased from 1 Metre to 30 Metre Rolls, it is easily installed at home with a few basic DIY tools. This particular One Way Window Film was designed to offer the favored One Way Reflection Finish at a much lower light ratio and needs only a 3:1 light ratio to give a One-Way effect. The popular One Way Mirror effect is actually a lighting trick, it's usually achievable on our regular Mirror Window Film but needs a higher 4:1 ratio, this means the side that you want to be able to see through, needs to be much darker than the side, you don't want people to be able to see through. This new product still works one the same principal but, now only needs a 3:1 ratio to works. Thus it can be more effective in situations where the light in-balance was not quite, enough to achieve this effect. The film consists of a twin lamination of both our Mirror Silver One Way and a Dark Blue Lining tint, this combination offers optimal performance for True One Way Vision, this can also eliminate the internal reflection with its dark outside at night and the lights are on internally. Window Film Fitting Instructions, Technical specifications, and glazing suitability chart is available to download at the bottom of the page. The video below shows Opal White Frosted Window Film been installed. 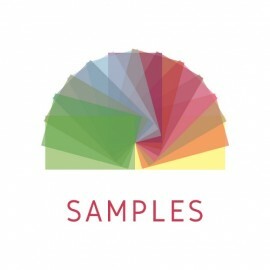 The product you are purchasing will look different but is still easily installed with the exact same method using a few basic tools, these are also available to purchase. The Window Film fitting video is only a couple of minutes long and covers all the knowledge you'll need to complete your DIY Window Film installation.